After 8 years, the imminent departure from Swindon by the end of the summer now looms on the horizon. This blog has been very much shaped by the experience of living in this non-University town, while living in a very Respectable Street. Swindon, of course, has a certain sort of reputation as ‘a dump’, which is not quite fair, and even if it is, given the representative significance of Swindon in the history of British society, it’s no more of a dump than the rest of the country. Aroundaboutz, of course, in the surrounding countryside populated by plenty of Generals and Majors, there are all sorts of attractions, if you like White Horses and stones circles and if you can survive on a Farmboy’s Wages. And it’s not too far away from the Towers of London, if you fancy a day trip. 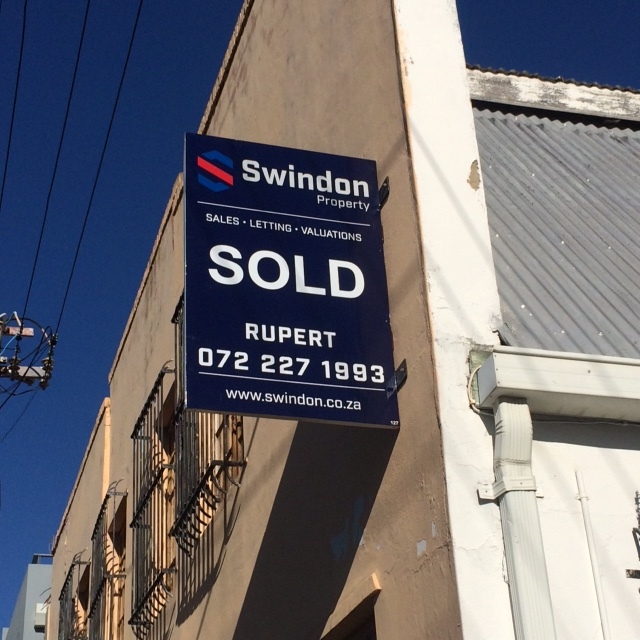 But that’s still underselling Swindon itself, which has quite a few treasures all of its own. It’s a good place to visit if you like railway museums, odd art deco treasures, or want to trace the origins of the NHS. In the time I have lived here, one can trace the diminution of the public realm under the pressure of austerity, felt in the absence of Sure Start centres, libraries, bus services, and nurseries that were the elements of our daily life when I first moved here. 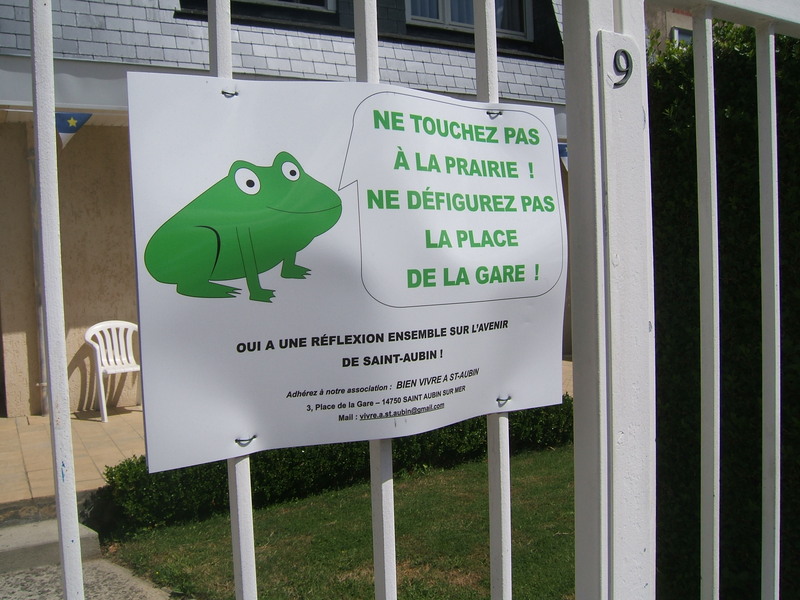 But actually, a life here isn’t just the privatised experience of a New Town Animal in a Furnished Cage. There are things worth getting out and about for. 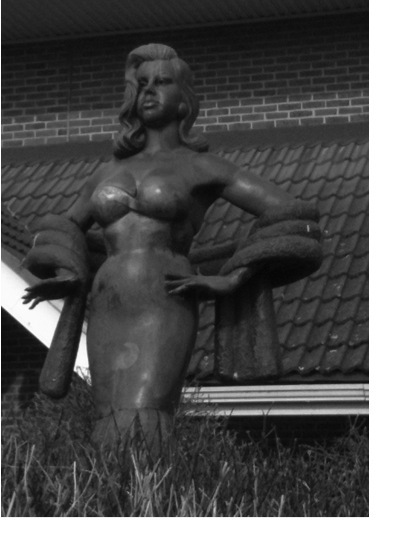 You could even spend half a day on a self-made Diana Dors walking tour, culminating perhaps at Swindon’s very own answer to the Statue of Liberty. 1). Top of the list is the Swindon Museum and Art Gallery. A quite extraordinary place, mainly for the art collection (not to the mention the crocodile or the Mummy). 2). Town Gardens. A place for kids to play, the site of the best annual(ish) South Asian festival I’ve ever been to, and a place where sometimes, if you look carefully, you can catch a glimpse of the Mayor of Simpleton wandering around. 3). No public sphere is possible, as old uncle Habermas reminds us, without a thriving commercial life to sustain it. The Swindon Designer Outlet shopping centre might not sound much, but even if you don’t like shopping, go there – it’s in the remaining part of the Great Western railways works, so it’s like walking through a portal into the historical geography of the town. 4). And, still with Habermas, you need coffee shops too – visit Baila, a little slice of cosmopolitanism in Old Town. At nighttime, it might well be true that Life Begins at the Hop, but it should end here, in a Crowded Room full of discerning gin drinkers. By day, it’s a haven for home-workers happy to listen to acid jazz and not-so-obvious Motown. 5). Los Gatos, or just ‘the Spanish’, a small slice of authentic British ex-pat Tapas in Wiltshire, this was the ONLY nice place when I moved here, but now it is like a trusted old friend you know will always be there when other things disappoint. Great coffee. 6). The Arts Centre. Swindon has a proper, big theatre, The Wyvern, which is also worth a visit (especially for Jon Richardson’s ‘returning home’ gigs), but the Arts Centre is another little hidden gem, a place to see Am-Dram performances of The Crucible or watch Mark Thomas or see foreign films or listen to Thea Gilmore. 7). Swindon is a very sporty town, with a disappointing football team embedded in the community in all sorts of commendable ways, Speedway, and best of all, Ice Hockey. Go Wildcats! It’s just like Canada. 8). There are various things to do at Coate Water park, but the best one is to take a ride on the miniature railway – because it’s Swindon, so you have to find a way of riding on a steam train. 9). The Old Town Railway Path. Yes, yes, I know, it turns out that almost everything on the list is related to railways, but if you need a walk, this is great – this is another bit of historical geography, a disused railway cutting that overlooks the ‘The Front Garden’ between Swindon and the M4, now the site of a major new housing development, and gives you a view in the distance of the Science Museum‘s large-object store at Wroughton, and if you like Rock, you can even see some exposed Upper Jurassic geological formations (apparently). Certainly a place to get your Senses Working Overtime. 10). Oh, and then there is the musical heritage – you don’t even have to come here to experience any of this, but all of it makes so much more sense if you’ve lived here. This is Pop. I have a piece newly published in Dialogues in Human Geography, grandly titled ‘On the milieu of security: Situating the emergence of new spaces of public action‘. As that may or may not indicate, it is a discussion of different ways in which issues of security are discussed in various fields of critical social science. It is one attempt to think through how ideas of problematization might re-cast the self-image of ‘critique’ in left theory, or at least, to elaborate further on two very different ways of doing things with Foucault (I’m sure there are more than tw0). The formula for this new-ish journal is that lead articles are published alongside a series of commentaries. My interlocutors were Ben Anderson, Anne-Marie D’Aoust, Matt Hannah, Jess Pykett, William Walters, and, David Murakami Wood. And then there is response (‘The Scandal of Publicity‘) to their comments. It’s an interesting process, and I would have loved to write more in response to the commentaries, partly for clarification inevitably, but also because different people raised all sorts of issues I have lots to say about as well (like concepts of attention). As with lots of my publications recently, this one was not so much planned as arising out of an invitation to think about a topic I didn’t know I was meant to know about. It dates back to a conference in Ottawa more than three years ago on the theme of Security and its Publics (organised by two of the commentators mentioned above, William and Anne-Marie). Efforts to publish a collection of the papers from the event fell foul of some rather shoddy practices from journal editors (not in geography, I should hasten to add). The turnaround for the piece in Dialogues, from submission to full publication, has been less than a year, which is remarkable considering that it involved not just getting referees for the original submission but also a whole bunch of coherent commentaries too. 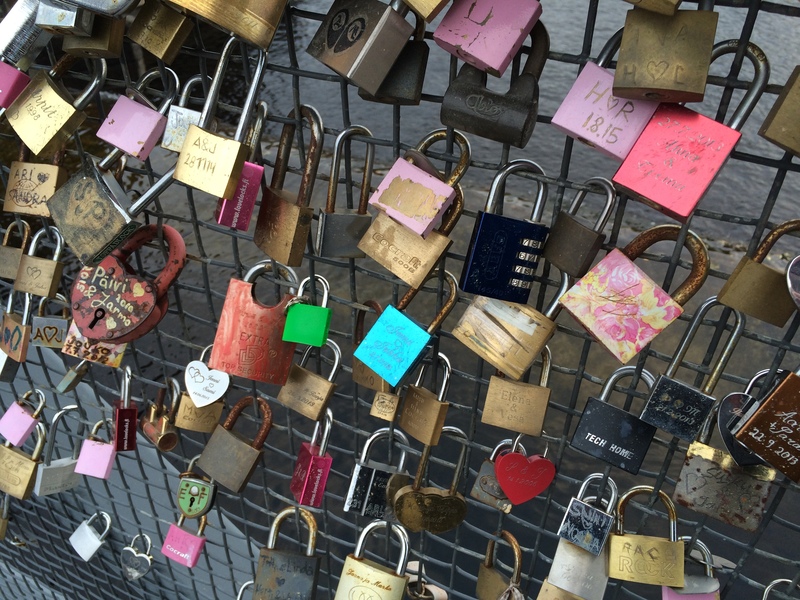 William and Anne-Marie have also published a piece which addresses some of the issue raised at the event, on the theme of ‘Bringing publics in critical security studies‘. I have previously mentioned attending a recent conference on publics and problems at Westminster, where I talked to a forthcoming paper titled Theorising emergent public spheres – well, it is now published, which is nice. The paper works through some ideas about how to think about the values of publicness, in relation to various issues arising from South African politics and public culture. I try to use the South African examples as occasions to think about how the values associated with publicness always arise in contexts of ‘extension’, and therefore of transformation and translation, and not just of ‘application’ (the paper doesn’t actually put in like that though). This paper sits alongside another one, more explicitly framed around how best to think about the value of public space, which together seek to spell out an analytical framework of sorts, or a set of questions at least, for investigating the formation of public life. These pieces are products of 5 years worth of workshopping around ‘public’ topics, including various ongoing invitations to listen or talk. I’m not sure if sitting around listening to what other people think about publicness, and specifically why they think it matters or not, counts as fieldwork but I have ended up thinking that this has been the ‘methodology’ I have been using to ‘theorise’ about these issues. The journal is available via the Sabinet platform, and it does also have an Academia.edu page (here). I have copies of the papers in this special issue should you be interested. 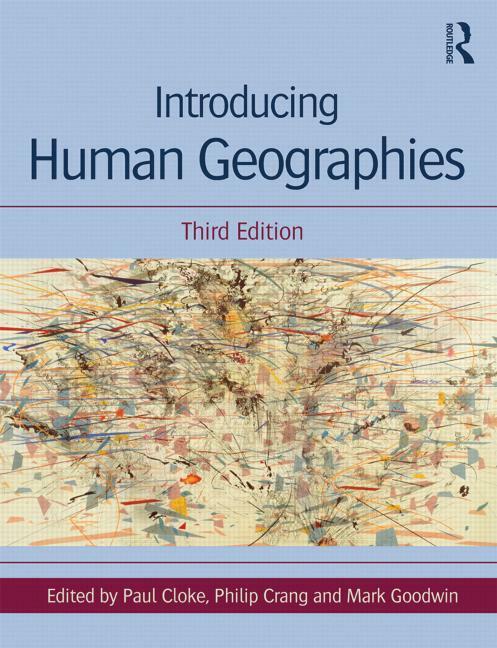 I have just received my copy of the new, 3rd edition of Introducing Human Geographies, “the leading guide to Human Geography for undergraduate students”. Technically, not published ’til 2014, but perhaps available in the better bookshops in time for Christmas. In the second edition, published in 2005, I wrote a chapter under the Issues sub-section with the title ‘Who cares?‘. This time, I have a chapter in the Horizons sub-section on ‘How to think about public space‘. This chapter is actually the first published piece in which I attempt to outline some of my own thinking about publicness that came out of an ESRC project on the theme of Emergent Publics which finished a while ago now…. I’m not sure an undergraduate textbook is necessarily the best place to try to articulate the fuzzy research agenda that I thought might have ’emerged’ from that project, but I suppose it might be a good way of catching the next generation early. Only time will tell. If you are stuck for holiday reading, perhaps a short debate on how best to theorise the relationship between public space and politics is what you are looking for? 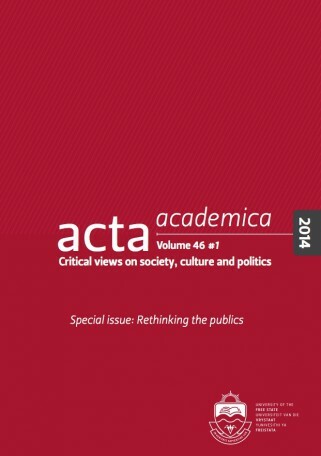 If you have access to the journal Policy and Politics, you will find a couple of responses in the current issue by myself and Quentin Stevens to a short provocation in the previous issue by John Parkinson entitled ‘Political public space: what it is, why it is special and why standard spatial nostrums mislead’. My contribution is really an elaboration of some aspects of Parkinson’s argument, an appreciation, just to show I am not only ‘critical’ when writing in critique-mode. To cut a long story short, Parkinson’s argument is that the ‘big-P’ political significance of certain sorts of public spaces is dangerously sidelined by arguments about the ‘little-P’, or shall we say, ‘cultural politics’ significance of public space understood as a field of broad, dispersed sociable encounters. I think he might be right. What is interesting about the ‘debate’ is that it does underscore the degree to which the precise relationship between political-politics uses of public space and cultural-politics uses of public space, to make a simple distinction, remains poorly theorised and difficult to investigate empirically in interesting ways (I think the significance of Parkinson’s argument, in his work on public space and democracy, lies precisely in focussing clear attention on the Big-P political relevance of uses of public space, something which is often taken for granted in more or less dismissive ways by arguments which are keen to claim ‘political’ relevance for any and all uses of public space). 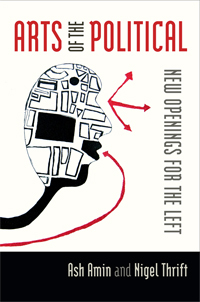 My review of Ash Amin and Nigel Thrift’s Arts of the Political: New Openings for the Left has just been published on Antipode’s online Book Review page. There is also a (shorter) review of the same book by Fred Inglis in the Times Higher. And the Mobilizing Ideas blog had a post about it a while ago too, in case you missed it (and are interested in these things). Last week I attended a workshop organised by CCIG’s publics research programme and the Creating Publics project (I was only able to attend one day of the three because of an outbreak of chicken-pox at home). The workshop was in part a moment in a collaborative project on Making Publics across time and space between some OU social science researchers and a humanities-based network based at McGill that has been behind the Making Publics project (MAP for short). There is a great set of CBC radio programmes that grew out of that project, covering a wide historical sweep of issues related to public formation. The discussions at the workshop clarified for me the importance of thinking about the grammar of conceptualizations of publicness. I have tried to write a little about this, in a paper submitted last month and a chapter that I have just got back for proof-reading, so it was on my mind already. Everyone seems to agree that one should adopt a plural register when approaching public questions – that it is right and proper to talk about publics rather than the public. But I wonder whether it makes much difference if one pluralises the public, rather say than pluralising the public sphere or public space. Speaking of publics in the plural might not make much difference in so far as attention remains focussed on overly substantialised images of publics as more or less sociolgical group-like entities. The default to thinking in terms of plural publics, thought of as a straightforward synonym for the conceptual issues raised by ideas such as the public sphere or public space, is associated with successive moves which emphasise the ‘constructed’ qualities of publics: publics are made, assembled, performed, or enacted, depending on one’s particular theoretical inclinations. All of these ideas tend to leave in place the strong impression that there is some sort of animating subject doing the making or assembling, and/or that the product of the assembling or enacting is also best thought of as some sort of collective subject. Something has been lost along the way: the sense of publicness as a subjectless process, to paraphrase old uncle Habermas. After all, ‘the public sphere’ might be a quite clunky translation of a concept that was not meant only to name an institutional form, but also, perhaps more importantly, to name a certain sort of action – acting publicly and acting in public understood as a distinctive mode or medium of social organisation (see here and here for a neat summary of the continuing subtlety, shall we say, of Habermas’ account of ‘the public sphere’ and the vicissitudes of its transition, indicating some of the reasons why fixating on publics might not be the advance it is sometimes assumed to be). – If one talks in terms of making, enacting, or assembling publics, then the modalities of action are already presupposed (and the most important thing always seems to be the constructed qualities of publics, with slightly different inflections, as if publics were ever thought of as naturally occurring kinds). This type of formulation makes publicness the subject of a process that is not, strictly speaking, specifically public per se – I think perhaps only performativity has a genealogy that brings it up close to the distinctive problems of public action, in a way that assemblage, or enactment, for example do not quite share – these latter might be too comfortable in their assumptions about the sociality of collective action as distinct from its publicity. – If, on the other hand, one talks of making things public – making science public, for example – then the emphasis is more squarely on publicness as a type of action. And this is where the fun starts – this action might be about sharing, or exposing, or making transparent or accountable or equally accessible…. My point, I suppose, is that one can either apply certain concepts of action derived from more or less proximate fields to understand the formation of publics; or, one can think a little more about the distinctively public qualities of certain types of action. I think the latter task is probably more difficult. The ‘politics’ of asserting that publics are performed, or enacted, or assembled tends to be relatively predictable and two-dimensional (since publics are made in contingent circumstances, they can be re-made, that sort of thing). The stake in theorising about distinctively public types of action is, I think, less satisfying: it requires thinking about power relations in more than two dimensions, in terms of the reconfiguration of plural public values – of openness, transparency, sharing, accessibility and so on – rather than in terms of dualisms between public and private, universal and particular, natural or contingent, however ‘paradoxical’ those dualisms can be made to appear. So my mid-year resolution is to try not to talk about publics at all, while trying to be more precise in usage when talking about public spheres, public spaces, and the types of action associated with processes and mediums of publicness.